I’m always on the lookout for inexpensive grocery items that can be used to elevate simple ingredients into something special and stylish. 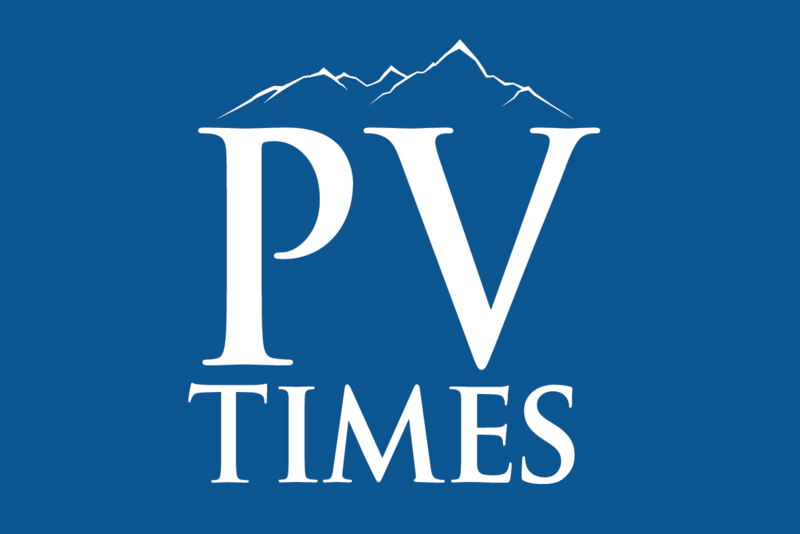 Patti Diamond/Special to the Pahrump Valley Times Wonton wrappers are so versatile and fun to play with and you can make fancy-pants appetizers or first course for a crowd. Wonton wrappers are just that, so versatile and fun to play with. Wontons are great for stretching expensive ingredients, like shrimp or salmon. You can make fancy-pants appetizers or first course for a crowd using your fillings a teaspoon at a time. You find wonton wrappers in the produce section near the tofu. If you have access to Asian specialty stores you get them even cheaper with a better selection of sizes. Diva Tips – Work quickly with one wrapper at a time, keeping the rest covered with a damp paper towel as they dry out fast. Don’t over-fill them. About one teaspoon per wrapper is good. Unlike pastry, they don’t stretch. If you tear them they can’t be fixed. Always push the air out between the filling and the wrappers. If you don’t, the air will expand during cooking. Your wontons could burst and spill its filling. That’s messy. And sad. 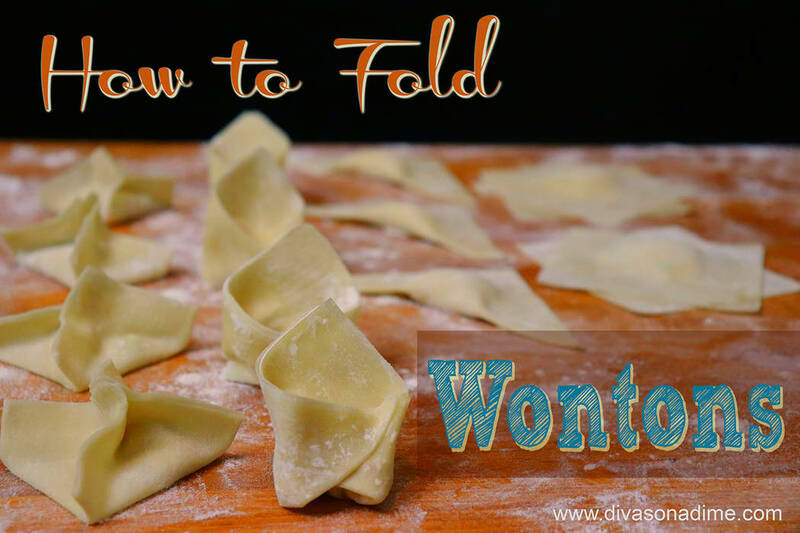 There are lots of ways to fold wontons but here are four easy styles you’ll get lots of mileage out of. Ravioli – The easiest. Place one teaspoon of filling in the center of the wrapper. Dip your fingertips in water and moisten the edges. Take another wrapper and lay it over the first. Press the top wrapper gently but firmly over the filling, working out any air between filling and wonton wrapper. You can offset the wrappers for extra flair. Samosa – Place a generous teaspoon of filling slightly off center, moisten the edges and fold the wrapper in half making a triangle, sealing the edges well. Envelope – Take a samosa and wet the two side corners of the triangle and pull them together, pressing firmly. Four-pointed Star – Place a teaspoon of filling in the middle of the wrapper and moisten the sides. Lift the corner of two opposing sides and squeeze together. Bring the middle of the opposite sides together to close the wonton. Squeeze to remove any air and close the seams of the wonton. This style is best suited for baking or frying because the wrapper may not stay fully sealed if boiled in soup. There are five main methods to cook wontons. Boil them in broth making wonton soup, deep fry them in oil heated to 350°F for a crispy wrapper, shallow fry in a couple of inches of oil heated to 350°F flipping them half-way to cook all sides, bake in the oven at 425°F until golden and crisp, or steam them. If your filling is raw (like sausage) be sure to use a thermometer to ensure the filling is cooked through. What to put in a wonton? Anything, because everything is better deep fried in a wonton skin. Cream cheese, jalapeño popper filling, crab or shrimp, pizza filling, Philly cheesesteak, cubes of cheese, sausage or meatball mixture, cooked veggies like eggroll filling, leftover turkey and stuffing (remember this for Thanksgiving), pie filling, chocolate, Nutella and banana. Get creative! When you’re “wonton” a new food to obsess about, these cuties fit the bill. Frugal Food by Patti Diamond from Divas On A Dime – Where Frugal, Meets Fabulous! Website – www.divasonadime.com and Facebook at DivasOnADimeDotCom.